The UCLA Department of Neurosurgery ranks No. 2 in the nation in scholarly research, according to a recent paper evaluating the impact of published articles in the field. The five-year review, published in the Journal of Neurosurgery, rated the academic publishing output of faculty at 103 American neurosurgical residency programs from 2009 to 2013. The top five programs were UC San Francisco, UCLA, the University of Pittsburgh, Brigham and Women’s Hospital and Johns Hopkins University. The recently published review is one of the first to use bibliometrics — the statistical analysis of written publications — to calculate the objective impact of a particular academic paper. It can be compared to sabermetrics, the statistical analysis of baseball players’ performance. “This paper falls into a growing trend of measuring and rating various fields — something that’s been popular in sports for 15 or more years. Now we’re starting to see metrics applied to academic study,” said Martin, who specializes in the research and treatment of neurovascular disorders, including arteriovenous malformation, aneurysm and stroke. 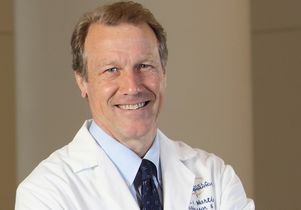 For more than 20 consecutive years, U.S. News and World Report has recognized UCLA Neurosurgery as one of the top neurosurgery programs in the nation. It is ranked No. 7 in the country and No. 1 in Southern California.